Looks pretty inoccuous but, boy, did I struggle with this. It was SO hard to pair these colours together. When I found something that would work with one, it would look awful with the other. I think I went through 2 sheets of cardstock before I found a stamp set that I thought worked with them. What do you think? I really like how it turned out, and I finally used this set, which I really love, but hadn't used since I bought it. 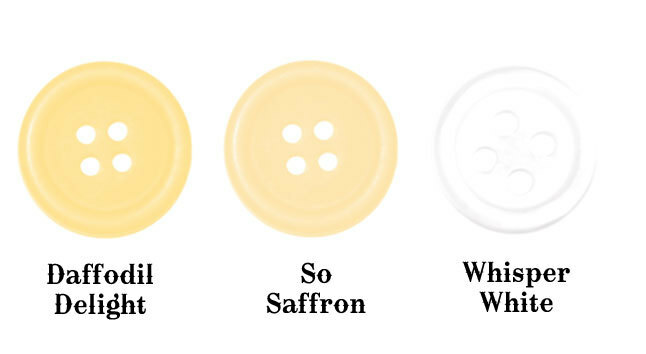 The big and little circles (I guess that's what you'd call them) are stamped in So Saffron and the middle sized ones are stamped in Daffodil Delight. 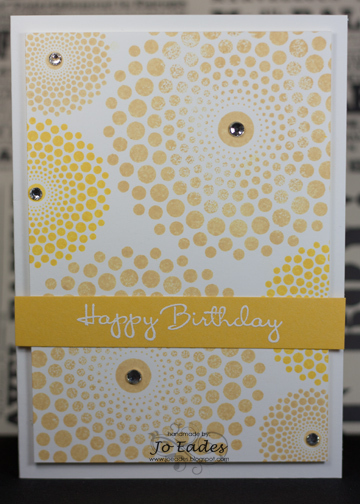 The sentiment panel is Daffodil Delight, with the sentiment embossed in white EP. I used a bit of bling to highlight the centres. Make sure you check out what the rest of the DT have come up with - they didn't stuggle like I did and there are some beautiful cards for your inspiration. Jo, this is beautiful. 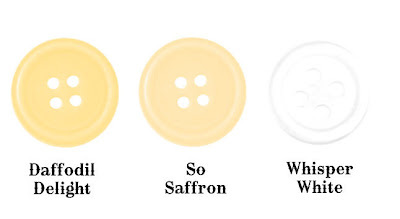 It looks like the yellows came together effortlessly! Love it. I think it's great Jo, you may have struggled but it certainly doesn't look like it, it's gorgeous. The final product is gorgeous Jo. Doesn't look like you struggled at all. Love those 'bling' centres. Oh wow! What a gorgeous design. I think you did good Jo!! I loved the effect of all the big and little circles it looks fabulous in the yellows.